During the course of the day, we are always getting asked about the differences are between the many family mid runs that are offered throughout the country. We as a staff participate in many of these obstacle course races and mud runs, so we have collected a lot of useful information in order to help you figure out which family mud run is right for you. 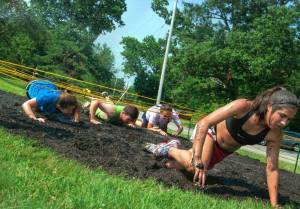 We have compared 12 different aspects of a family mud race events are out there. Each aspect we have found is important to potential obstacle course racers. 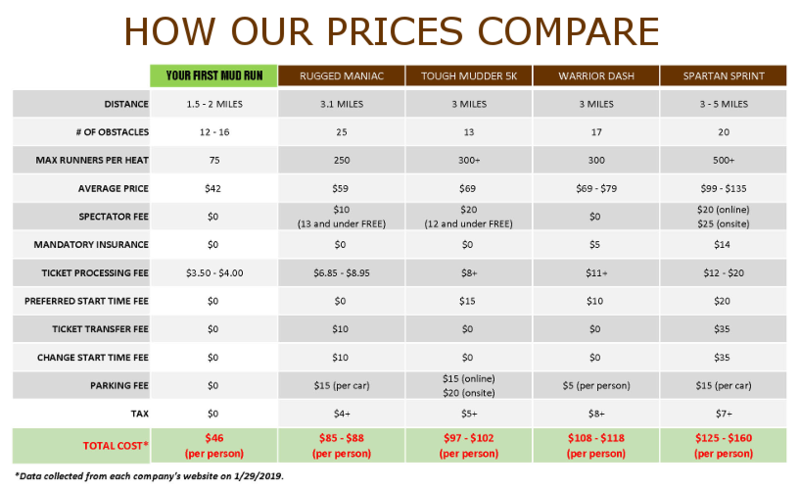 Especially when talking about kids mud runs, where the cost can get a little crazy, we want to illustrate that Your First Mud Run is the best value on the market today!